The Peoria City/ County Health Department will recognize local establishments as recipients of the 2018 Food Safety Excellence Award on Monday, February 25, 2019. 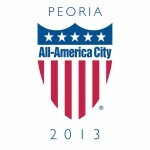 The award ceremony will be held during the Peoria County Board of Health meeting. Recipients of the award are asked to arrive at 5:00 pm for photographs and refreshments, with the presentation immediately following at 6:00 pm in Room 125 at 2116 N Sheridan Rd. The Food Safety Excellence Award is awarded to establishments that demonstrate a commitment to food safety. The award takes into account not only food inspections, but also dedication to food safety through the on-going development of voluntary food safety practices. Overall, there are 1144 food safety licenses in Peoria County and approximately 900 were eligible to apply for this award. For the 2018 award program, there were 36 applicants and 28 met the criteria. The Environmental Health Division Staff at the Peoria City/County Health Department commend establishments for participating in the 2018 award program. The Health Department would also like establishments to be aware that the award program is based on a calendar year, and applications for the 2019 award will be accepted until October 1, 2019. Please note: Only Category I & II food establishments are eligible for this award. Those who are not eligible to receive this award are: Pushcarts, Modified Mobiles, Street and Sidewalk Vendors, Category III Establishments, or Seasonal Food Establishments that operate less than 6 months out of the year. For more information on food safety and other important public health issues, visit the Peoria City/County Health Department website at www.pcchd.org.